Nardwuar The Human Serviette News: Nardwuar @ SXSW 2011 ! 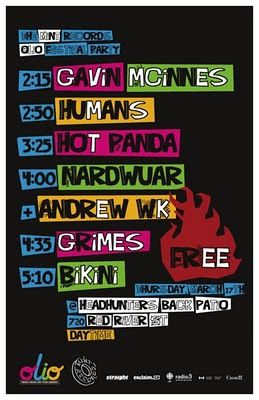 Nardwuar @ SXSW 2011 ! Yup, I am doing a panel called "Nardwuar's Video Vault" where I will be showing and talking about some of my favourite interviews. This all will be happening on Wed March 16 at 10am at the Radio Day Stage at the Convention Centre (Ballroom D on the 4th Floor)of the convention centre . More info here. Also please join Andrew W.K. 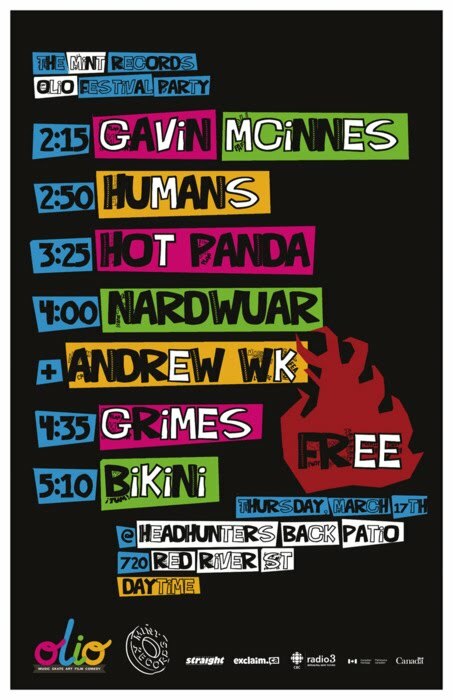 and myself for a free event at The Mint Records Party on Thursday March 17th at 4pm at Headhunters (720 Red River)! Doot doo!